CTS Bike club during the month of May 2012. Hello fellow MTBer's. Last night myself and Ted Greatrix meet with the other members of the Stewardship Committee to review the 4-season biological inventory of Copeland Forest that was completed in March. This was the first time the members of the Stewardship Committee have meet together, in an effort to review the science report, and start to digest this information. The discussions did not include any terms of reference for the Committee. There will be a facilitated meeting soon where this work will begin. 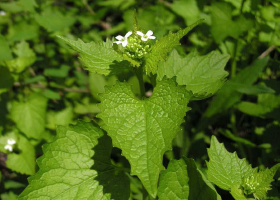 The big highlight for me was that there is a large infestation of the Invasive Species, Garlic Mustard, near the Pine Ridge Entrance of Copeland Forest. 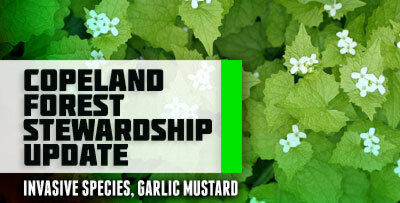 If left unchecked, Garlic Mustard will out-compete all other species, and take over the forest. It also changes the chemical composition of the soil, so that even after it is picked, nothing can grow. For that reason, a recovery strategy will also be required. Pick it whenever you see it! Try and get the whole root. Should you stretch before exercise? or after? This has been debated quite a bit in the research lately. The best evidence to date indicates that stretching before exercise (especially before your warmed up) is not recommended. Don't confuse this statement with properly warming up before exercise. For sure a proper warm-up is supported by research. The general consciences seems to be that one should begin to warm-up with cardiovascular type exercises similar to your given activity ex. walking before running. Then add in some simple dynamic movements of the body to limber up the most important limbs/joints and muscles to be used in your given activity. A few sprints and drills would also be a good idea especially if you are warming up to do some intense exercise or a race. Finally after your work out is finished it would be a great time to cool down slowly and follow that with a series of slow static/or yoga type stretches. An example for someone warming up to do a fast 10 km run. I would suggest that you start by walking briskly for 5 minutes, followed then by some dynamic movements involving the hips, knees, ankles, arms, and shoulders etc.. followed then by some light running drills for 5 minutes i.e. "A's", "B's" etc... followed then by some short 10 - 20 sec moderate sprints. 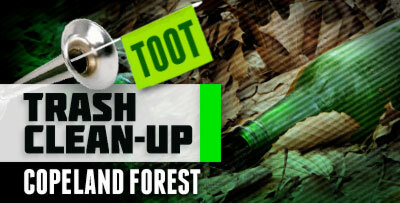 All this needs to be done before actually starting your 10 km run. Of course I would suggest a slow walk to cool down after your run workout, followed then by a good static stretching routine. Sounds like a lot of warm-up? Perhaps overkill? Lance Armstrong has been know to warm-up for over 1 hour before his intense time trial stages of the Tour. A proper warm-up will protect you from injury and increase your performance. So warm-up and have a great workout. An early start to the 2012 season. 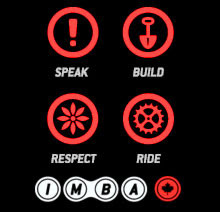 A survey endorsed by the International Mountain Biking Association (IMBA) and conducted by Sacred Rides Mountain Bike Adventures set out to better understand the motivation behind mountain biking women and how to attract more females to the male dominated sport. The survey was completed by 710 women; participants of the survey are from 13 different countries, including United States, Canada, New Zealand, Australia, Scotland and more. The survey results are beneficial for the bike industry – which consists of bike, gear and clothing manufacturers – the results call for more customization, improved fits and reduced prices. Do you know how to fall? 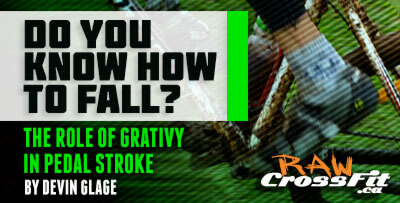 - The role of grativy in pedal stroke. Dwell on this for a moment: The only reason you have bones and muscles is to interact with gravity. You will find clear evidence of this fact if you've ever tried to run under water. What goes up...must come down, wheels underneath you or not. So what does this all have to do with cycling? Once you understand that all movement (on earth) is a destruction of balance (De Vinci's words, not mine) then you start to relize that efficient pedalling is essentially falling forward in a controlled and smooth manner. Taking something as simple as walking for example. You do not go anywhere until you shift your bodyweight to one foot, and slightly fall forward. The leg movement is a by product of falling, not vice versa. Let's apply this principle to pedaling. Imagine your pedal cycle as the face of a clock. Studies show that peak power output occurs when the crank arm moves from 3 o'clock through 5 o'clock, which consequently means that 9 to 11 o'clock should be the most relaxed phase for the oposing leg. From a gravitational perspective, 3 o'clock is the earliest moment when you can apply full bodyweight to the downward stroke of the pedal. Sounds logical right? It is. However, we can sometimes be guity of forgetting that graivty is the force that drives us, and that muscle function is only to support our use of grativy by moving us into the best position. This forgetfulness can get us into trouble then we start analysing the pedal stoke. Most pedal stroke advice on the interwebs follows the conventional wisdom -also known as coaching what you see, not what you understand- of applying a pull to the upward stroke of the unweighteg leg to help gerenate more downward force. This is a mistake however, and known as pedaling in a box. Pushing down with one leg as you pull up with the other causes fast phases between 3 and 6 o'clock on the drive leg, and 9 and 12 on the recovery leg, with susequent slow phases through the bottom and top of the pedal strokes respectively. This leads to unnaturally squared corners rather than a smooth continuous circle. The box is also always associated with excessive effort from the rider, and a lop-sided pedal stroke. 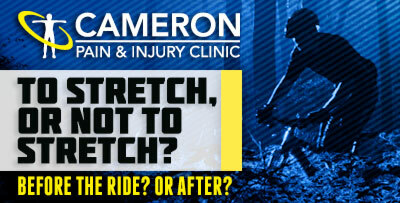 So what does this mean for your pedaling efficiency? When you understand that all your effort should be directed at subtly shifting your bodyweight to your downward moving foot from the 3 to 4 o'clock position, you will stop wasting valuable energy trying to pull in a phase of the stroke that us unproductive. The key take away from all this is that gravity is a FREE FORCE. Until you make it into outerspace, it will never stop pulling you down. It takes much less effort to shift your bodyweight from side to side for a brief moment (during 3-5 o'clock) than it does to try to artificially spin the crank through 360 of rotation, yet both accomplish the same result. Remember your Newton and his apple? You can not fall faster than the rate at which gravity pulls you, thus, why try and pull the pedal down faster, when falling on it with your body weight is as fast as it can go? Said another way; why use effort when you can get the same thing done for free? Which brings up my final point. Efficient movement is the effective application of technique that allows you to take maximum advantage of the free forces given to you by nature, gravity being the big one. When you regard top athletes in their respective sports, a word that can describe the gamut of them is "effortless". These althetes have found a way to get themselves in the best body position to use gravity, and in doing so have made their sport easy. I challenge you now to use this knowledge to better your technique. Perception is the first step. Once you learn to feel gravity, movement, and specifically biking, will become easy. What a great way to spend March Break and start the 2012 season, whether it was Hiking or Mt. Biking, Sedona has it all. 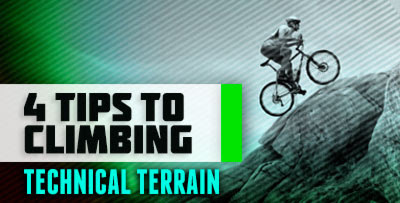 From fun, fast, flowy downhills to technical, switchback filled climbs. The trail were nothing like I have ever ridden before(a cross between 3 Stage and Buckwallow), with a view like no other, with an elevation of 4500 ft.. Definetly a place to go and ride, trails are in amazing shape and well marked, and no need to ride the same trail twice, but spending more time there would be great. We hardly scratched the surface of trails, with networks of trails you could go for a quick 1 hour spin to an epic all day ride. Even the bike shops were great, friendly staff and coffee bars for a quick expresso before or after a ride. 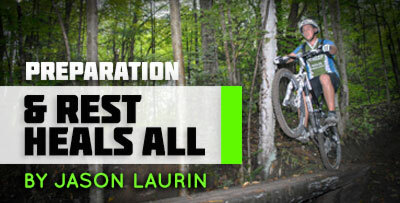 People mountain bike for all different reasons. Some cycle for the social aspect, while others pedal with a purpose. I ride because it is indescribable! The sense of freedom, health, adrenalin, exercise, and of course to get out in nature with my CTS brothers and sisters. 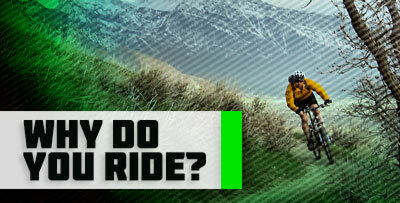 Share why you ride your bike! 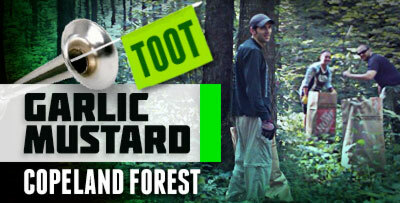 Post below. With the objective to become stronger and more confident on my bike. 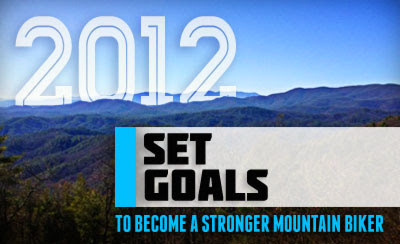 I have set 4 mountain bike-specific goals that I feel certain I can attain throughout the year. 1. Keep strong in the off-season. I realize now that I need to change my way of thinking if I want to feel strong on my bike come spring. I’ve started an early-morning fitness routine at Raw Crossfit that I hope to continue until the snow melts and beyond. 2. Master a challenging section of trail. I’ve talked about becoming proficient in this area for years. This is the year I’m going to follow through with it. This year I will actually attempt the rock drop! You can hold me to it. 3. Take part in an event. This year, I’ve set my sights on a first time local event and put it on the calendar already. Myself and 4 other brave CTS members are going to attempt the Tough Mudder. I'm looking forward to testing my strength, stamina, mental grit, and camaraderie. 4. Show my local trails some love. I ride my local trails a lot, and far too infrequently I take part in trail work to maintain their glory. I plan on staying on track with the Copeland Forest Stewardship Initiative to make sure we are able to ride it's amazing trails for years to come. What are your mountain bike goals for this year? The full strength of the gorilla has never been measured. It should be sufficient to say and history shows the ability to bend and snap objects such as steel frames and giant aluminium crank arms suggests that the Gorilla On A Bike has the muscle power of between 8-15 men and possibly more. Few products have been able to withstand the pressure of the Gorilla On A Bike. 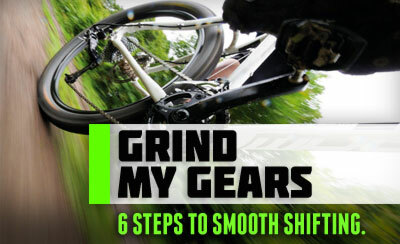 6 Steps to Smooth Shifting. Once a rider figures out which lever makes pedalling harder and which makes pedalling easier, they know how to shift, right? Maybe. Finding the right gear takes practice and timing. 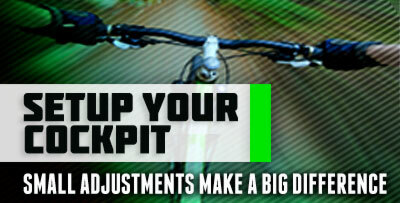 Know what you're doing when you shift and you'll ride faster and extend the life of your drivetrain. 1. CROSS CHAIN: Rubs You the Wrong Way... The conventional wisdom is that cross chaining riding in a combination of the big chainring and big cog, or the small ring/small cog is wrong. It at times can provide the ideal gear, though it can also lead to clumsy shifts and eventually do damage to your chain and rear derailleur. If you're on the inner chainring in the front and the small cog in the back, chances are if you shift into the big ring the chain will fall off. Stay away from the 2 rear cogs that are opposite the front chain ring. 2. KEEP YOUR SPEED: Keeping your cadence a tad on the high side you ensure you always have enough RPM to make a smooth shift. Caught in too high a gear with too low of a cadence on an unexpected rise. Your only choice is get off the saddle and try to muscle up the climb on your bars or do an ugly dismount and hick-a-bike. 3. THINK AHEAD: Anticipate what gear you need and when to accelerate. Shifting after the terrain changes slows you down and robs you of energy. Look ahead and be in the right gear before you get there. 4. USE YOUR FEET: When you want to get a jump on the trail during a group ride don't grind your shifters, use your feet to unload the drivetrain, so you can butter up into the gear you need. This decreases your power for just a moment, so you can smoothly shift into your attacking gear. 5. BE THE CHAIN: If your chain is shot, shifting suffers. Change the chain more frequently, and you won't have to replace your cogs and rings as often. If your chain is in good condition, and a cable adjustment doesn't fix your shifting issues, inspect your chainrings and cassette for burrs and nicks. 6. FEEL THE LOVE: On long rides be a bit more gentle. Slamming shifts and stand on the gears hard will lead to you breaking something and throwing away an epic CTS ride. If you love your bike it'll love you back.